Our team - the dedicated team at MeetingOne brings the ideal combination of experience and innovation to the audio and web conferencing field. Sophie grew up in Paris, France where she received her B.A in Marketing and International Business from ISC (Institut Supérieur du Commerce) Business School. 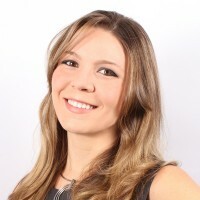 She started with Genesys Conferencing in the Paris sales department; Genesys was then the pioneer of automated conferencing and a small startup. 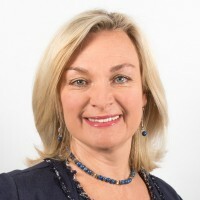 In 1995, Sophie moved to Denver, Colorado in order to complete her M.B.A at CU while serving as a consultant for Fortune 500 companies such as France Telecom (Orange) and US West (CenturyLink), as well as emerging high-tech companies in both Europe and the US. With the help of partners and key investors, Sophie launched MeetingOne in 1999, in downtown Denver. Sophie takes pride in seeing MeetingOne prosper by empowering customers and their different use cases, all over the world, with the best audio and web conferencing technology supported by the best personalized customer service. Always striving to achieve better user experiences for her customers, Sophie follows a model of excellence which is the basis for future MeetingOne’s success. 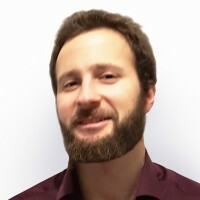 Joseph joined MeetingOne in 2009 as General Manager Europe. 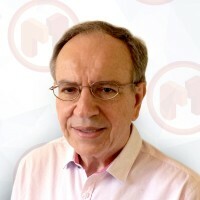 An Engineer with a degree from the Grenoble National Polytechnique Institute in France, he started his career with France Telecom in 1971 in charge of several key economic business studies until 1980. 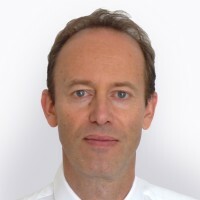 Joseph spent the next ten years as General Manager of SMT Goupil, a French computer manufacturer linked to France Telecom. He then led Newscreen Communications, a consulting firm specialized in the field of communications and services. Joseph conducted there, for eight years, strategic activities including the development of Jabber Inc. in the European market and various important projects for Adobe France. Joseph directs the European branch of MeetingOne with the same drive and motivation that fuels all of MeetingOne’s efforts to thrive. James comes from 20 years experiencing developing innovative audio solutions for clients in all walks of life and industries. He has a BS in Engineering from Greenwich University in London. In 2002, James joined MeetingOne as a software engineer. 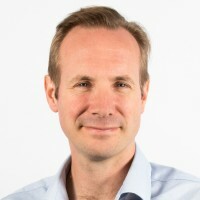 He led the development effort on the Adobe Connect integration and European Audio Bridge, while also contributing to and overseeing infrastructure projects. He presently manages MeetingOne’s Development and IT Operations teams. Mariline ensures that the European Customer Service team provides the best possible customized support and training to MeetingOne’s customers for all audio and web conferencing products. 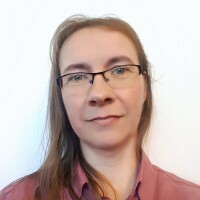 Graduated with a degree in Foreign Languages Applied to Economy from the University of Montpellier (France) and professional retraining in the computer field, she worked at IBM and in smaller computer services companies before joining MeetingOne in 2001 as a Technician of Operations. She was successfully promoted after eight years tenure to the position of EMEA Customer Service and Event Facilitation Manager and became Director in 2018. As an Engineer in telecommunications, Yannick has been working for 20 years in the field of real-time communications. Today, he is the MeetingOne Sales Director France. He is responsible for developing and leading to success our customers’ projects for virtual classroom, for webinars or for online meetings. As a senior sales representative; Ioannis has been a key contributor to the business growth of MeetingOne Europe in the past several years. Today, he is the MeetingOne Sales Director Benelux. As such, he is responsible for managing and developing the existing customers portfolio as well as looking for new conferencing customer’s projects, audio and web, based on e-Learning, webinars and online virtual meetings. Brittany joined MeetingOne’s growing marketing team in 2014. Over the years she has been a key contributor with spearheading the transformation of MeetingOne’s brand, voice, and applications. Owning both MeetingOne’s marketing strategies and product design, Brittany has tied in her aesthetic talents to create a cohesive and user friendly visual experience across the entirety of MeetingOne. Her thoughtful and tenacious efforts have helped grow the company’s success and have made her a knowledge resource for conferencing technologies both internally and to customers. Her passion for engaging product design, customer consideration, and creative marketing outreach has helped shape MeetingOne’s identity and culture. Brittany holds a Bachelor’s degree in Fine Arts with a concentration in Graphic Design from Colorado State University. Collaboration and communication have been at the forefront of Michael’s Product Management career. Having over ten years in IT leadership and the scholastic pedigree in interactive design and innovation, Michael has helped heighten critical thinking, creative problem solving, and smart implementation within the MeetingOne team culture. As a leader at MeetingOne, Michael brings his passion of developing solutions towards solving the most demanding communication and collaboration challenges facing our customers today. Working closely with MeetingOne customers, Michael identifies the needs and champions their voice into MeetingOne products and expanding the Adobe Connect experience.